Welcome to Custom Heating & Cooling for all your HVAC needs, both residential and commercial. For years we have been providing the highest level of home comfort products for Central Wisconsin. Our philosophy is simple: our clients are our most important assets, and to protect them, we provide the best service and equipment available. Custom Heating & Cooling is a full service HVAC shop as well as a propane supplier, outdoor wood boiler and Pex-AL-Pex tubing distributor. We are fully licensed and qualified to install virtually any type of heating system from forced air gas to geothermal and radiant heat. With so many options to choose from, you can be sure we will install and provide you with the best equipment and service to ensure your comfort. 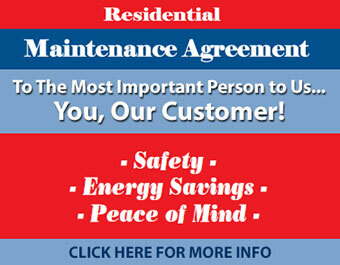 Our expertise is second-to-none... be confident that you are getting the peace of mind you deserve. Please take a moment to browse our website to get an overall view of our company, and the products and services we provide. Very satisfied and "warm." Thank you Larry and all. -- Bonnie L.